Last week the Coaching Association of Canada (CAC) ran a campaign #ThanksCoach! to recognize the work, time and dedication that coaches put into their teams and their sport. Sad that we have to have this gentle reminder, but at the same time, thanks to the CAC for bringing some gratitude into our lives. We all appreciate a little recognition every once in a while. It is no secret with rewards and recognition from a business sense, that recognition is more cherished then rewards (money). Daniel Pink’s book Drive, The Surprizing Truth About What Motivates Us, breaks it down into 3 categories- purpose, mastery and autonomy. His basic message is that business’ have not caught up with behavioural science and that the old system of “carrots and sticks” (rewards and punishment), are not aligned with the 21st century business which is more about knowledge processes and the ability to think. As humans, we all want to be valued, and recognition does just that. But here is the thing- We need to understand what we are being valued for. How did we make a difference, and what does that mean to you? Brain science is telling us over and over again that the brain needs to make meaning – even when we don’t have all of the information – we will make our own meaning (not always right, nor always positive meaning). So when you are saying #ThanksCoach! don’t leave it up to chance on how it could be interpreted, or misinterpreted. Think through specifically what you want to say thanks for. Here is a simple formula that is used to give feedback. And yes saying thanks is a form of feedback. We often think of feedback as negative or constructive, and it is not often welcomed. Dr. Allan Rock, from Neuro-Leadership Institute notes that when you say to someone “Can I give you some feedback”, their brain reactions similarly to the reaction of hearing footsteps behind you in the dark. That doesn’t make me feel like I want to hear the feedback! And you can imagine, if all the feedback you ever hear is on the negative or constructive end (even if well intentioned), you are going to shut down. Who wants to have that feeling that someone is following you in the night, over and over again?! The ratio to keep in mind is 4:1. Four positive to one constructive. But saying “nice job” or “thanks for a great job” doesn’t cut it. If you want a specific behaviour to be done again, you need to call out that specific behaviour. The more precise and purposeful you are in your delivery, the less chance for the brain to need to work to make up the meaning. Here is the simple formula we call “SAID Model”. Situation – Give it context and be specific – during a conversation, at a game (at this point in time of the game), during this practice. What is the time, place, point in a conversation or situation. Action – What was the behaviour – what did they say, how did they say it, what did they do. Impact – How did it make you feel, what did it mean to you, how did it impact you. Do – Do it again or more often. Perhaps Do it in a variety of situations. The more people understand what they did, how they did it and the impact it had, the chances are much higher that they will do it again. Here is an example. My son plays net in hockey. And the challenge is with this position when they have a “brain fart” or seem to be off of their game, they run the risk of being pulled, and the other goalie is put in. It is a crappy feeling for them and a crappy feeling as a parent when you watch this, as you can feel the knock in their confidence. 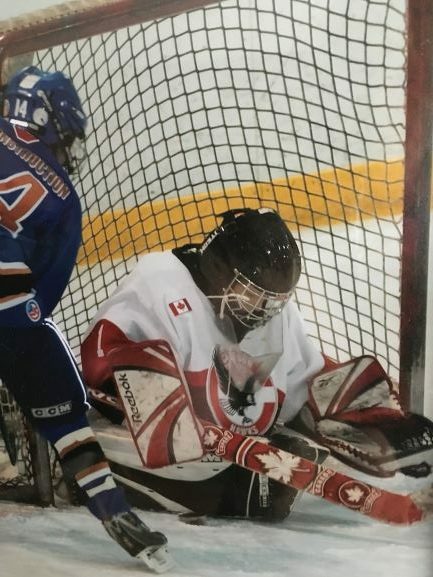 In this game, the coached pulled my son (yep, my heart sinks, and yes he was off of his game), and then the next thing I know, after the next whistle (all of about 1 minute), he was back in net – shoulders held high and back on his game. “Hi Coach, I want to say thank you for putting Bryce back in net after you pulled him during the second period. I totally understood why you did it and was surprized when you put him back in. I was worried about his confidence being crushed and I could see that you had spoke to him on the bench, and then gave him a re-assuring pat on the shoulder. I could see his confidence was stronger in his body language. I have been trying to support Bryce with his confidence in net and that it takes a team to win and a team to lose. Please keep doing this when you need to along with your explanations. What you did will go a long way in helping him. #ThanksCoach! “SAID Model”. A simple formula that will go a long way in saying Thanks with purpose and impact. Melanie Wanless, trying to give 4:1 ratio of feedback…trying!